THE lobby did not have much security for a government building in Delhi. In the main office on the fifth floor, a television broadcast live pictures of Anna Hazare, a fasting anti-corruption campaigner whose huge public protests are at last losing steam (four days later Mr Hazare was to disband his movement, although it may yet morph into a political party). A worn, annotated copy of India’s constitution lay on the bookshelf. Behind the desk was an Important Indian Official—some say the most important of all. 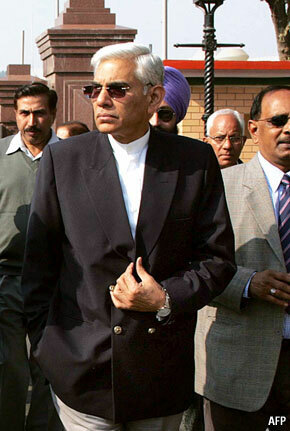 He is Vinod Rai, and unlike Mr Hazare he is not famous. His title evokes merely tedium—the Comptroller and Auditor General of India (CAG). Mr Rai gamely details the many good works of his organisation, which employs 45,000 folk, most of them checking the book-keeping and compliance processes of the public sector. But in truth that is no longer the main event. Instead, the CAG has become a source of hope at a time of growing despair over India’s rotten governance. Under Mr Rai’s tutelage since 2008, the office has evolved into a scourge of graft and wasteful use of public resources. It has issued a series of explosive investigative reports, the most devastating of which came in late 2010, detailing a multi-billion-dollar scam over licences for 2G mobile-phone networks. The rot appeared to reach the very top, and the minister in charge is now facing trial. The ruling coalition led by the Congress party has never recovered. In 2011 the CAG turned its sights on graft and ineptitude at the Delhi Commonwealth games and on a Mumbai property scam cooked up by top military officers. New reports are due soon on murkiness in land deals for Delhi’s new airport and on the dubious award of coal-mining blocks, another potentially huge scandal which police are now looking into. The CAG calls its investigations “performance audits”. In fact, they amount to an assault on cronyism, which many, including Mr Rai, feel has got worse since the mid-1990s, when India began to be governed by coalitions. “Each coalition party has its own cronies,” says Mr Rai. “There can be a multitude of cronies squabbling to get a slice of the cake.” Since coalition politics are here to stay, Mr Rai says, it is crucial to put a stop to the carve-up. How does the CAG dare play such a role? The constitution puts it on a par with the Supreme Court. It sends its reports to Parliament but is not answerable to it. The CAG’s boss has a six-year term and may only be removed by impeachment. Backed by these protections, Mr Rai has interpreted his task broadly. Public resources can best be protected not by nitpicking over myriad cases, but by concentrating “on areas where the risk of misgovernment is the greatest”. Mr Rai also wants the CAG to communicate with the public, not just send reports to Parliament. All of which is a fine way to make powerful enemies. Asked if he has ever been threatened, Mr Rai laughs, “At no point.” But he admits that when the CAG began the 2G inquiry, it had no idea what it was in for. With 2G and now the coal report, he says, “our independence and clinical objectivity” are being put to the test. Parts of the government machine respect the CAG. For instance, the oil-and-gas ministry asked it to examine state contracts with gasfield owners, including Reliance Industries, India’s biggest firm. The idea that mining licences and mobile spectrum should be auctioned, not given to government friends, is widely held. Yet there are also critics who argue, variously, that CAG has exceeded its mandate, is incompetent, and on an ego trip. In June a member of the Planning Commission, a body chaired by the prime minister, made private remarks to investors. He pooh-poohed the CAG’s estimates of losses from 2G scams, arguing that “most of the scams are misrepresentations”. It led, this critic complained, to an “effective political siege”. He said officials were not making decisions for fear that they would “end up in jail”; the effect was badly to damage the economy. Mr Rai dismisses that argument as “totally specious” and “an alibi sought by non-performers”. Other criticisms of the CAG seem unfair. Along with the Supreme Court, the CAG has expanded its role to fill a vacuum created by years of political drift. On the whole, that is no bad thing. There is a chink in the CAG’s constitutional armour, though. Its boss is picked by the government. Mr Rai, who has no doubt bitterly disappointed the present lot, is due to stand down in 2014, just before the next general election. He claims that the CAG’s new spirit, combined with right-to-information laws and public anger over graft, means that the risk of his successor being a political poodle is low. With luck, he will be proved right. That evening, stragglers outside were wending home from Mr Hazare’s rally—perhaps his last. They looked a bit deflated. 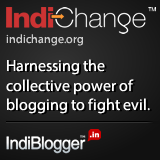 Institutions not just crowds must be part of India’s fight against the abuse of power. 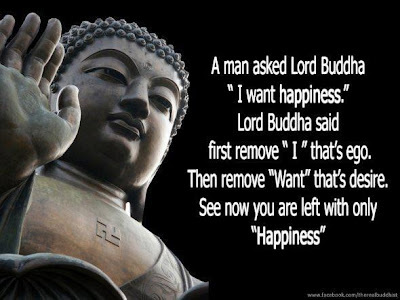 I am posting after a while. Think about these words of Buddha, and send your comments.